Vivace Series blends strength and durability with color palettes inspired by nature in a product that defines both quality and prestige. The rich, bold colors will enhance and give an aesthetic edge to any residential or commercial building. 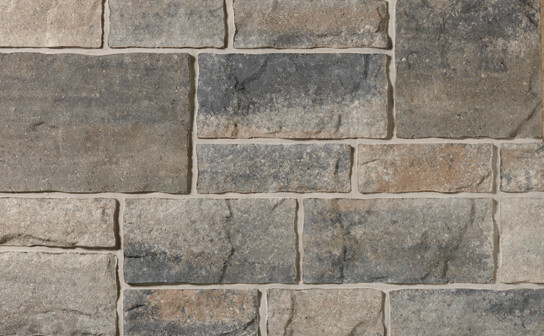 Its distinctive cut and exclusive slate finish and varying size combinations provide endless design options. Vivace Linear provides the perfect balance between contemporary proportions and gorgeous, natural colors. Vivace Linear, when used on its own brings drama contrasting a modern, linear pattern with a natural aesthetic. Combined with our Vivace or Artiste stone, Vivace Linear presents a unique customization while staying true to your color palette.